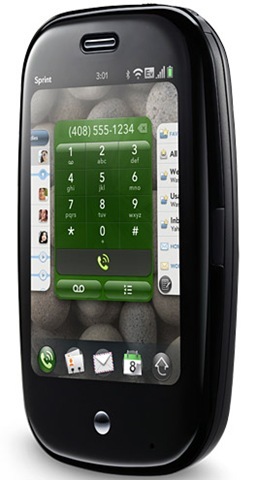 Recently Sprint started offering Palm Pre device, touting a revolutionary new WebOS and integration with social networking. Initially, this device was described by it’s funding partners as an iPhone Killer and has certainly attracted it’s fair amount of attention for it’s very cool feature set. But how about using it in business, with Exchange? 1. Tap the Email icon on the Quick Launch. 2. Note: If you have already set up an email account and want to add another one, tap the Email applications menu > Preferences & Accounts > Scroll Down > Add an Account, before following these instructions. Enter in the your Microsoft Exchange email. For this example, press J to prompt one to fill in. 3. Tap the Password field and type in the corresponding password. Here, press 0 to prompt one to fill in. 5. Tap the MAIL TYPE field then tap Exchange (EAS). 7. Once the information is complete, tap Sign In. 8. Once setup is complete, you can exit the application by first pressing the Center button. 9. Click the animated arrow to simulate throwing the card off the top of the screen, to close the application. The SMS message must be received by the device within 24 hours in order to wipe the device. If someone steals your device, powers it down for at least 24 hours, you will not be able to remotely wipe it. This restriction may cause you to consider storing sensitive data on your device and is a good cause for establishing other security policies like a complex device password, keeping a limited amount of data on the phone, etc. Note: None of the ExchangeDefender servers allow plain text / non-SSL connections. All connections require encryption. Special gotcha for SBS 2003 users and the SSL Certificate issue: If you use the self-signed certificate automatically generated by CEICW, Palm Pre will attempt to connect to the CN for the .internal host, not the public domain name. While Palm Pre supports Exchange to an extent, it is primarily designed as a consumer device and currently does not support the basic security policies required for safe business use. While HTML email, push mail and Exchange sync will work, make sure you consider the security tradeoffs. Needless to say, the consumer appeal of webOS and Palm Pre will make Palm Pre show up in corporate world just as the iPhone did. Start preparing your network and educating your users now.